A total lunar eclipse is nevertheless a sight to behold. The full Moon gradually darkens, then turns a smoldering coppery colour.The total lunar eclipse of January 31, 2018, garnered a lot of enthusiasm since it was the second full moon of the month. It was a sight not to miss. Sri Venkateshwar international school arranged for the telescopic viewing of the phenomenon under the Universe In The School (UITS) program of SPACE India. More than 200 school children along with their parents came to view this phenomenon. The gathering was addressed by the school principal Ms Nita Arora. She explained the phenomenon to kids and conducted an impromptu quiz. Hydro rocketry was initiated by Chairman Mr.Sailander Solanki. Students were enthralled to watch the whole process. 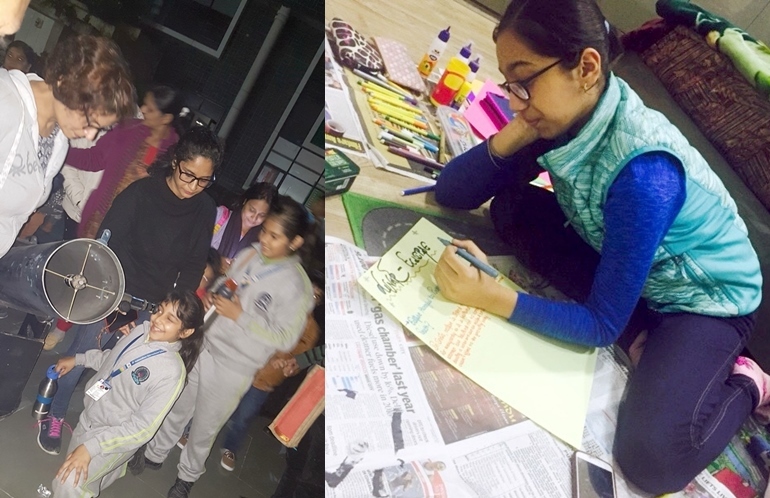 A group of students conducted‘Making of Comets’, ‘Moon walk’ and ‘Guess the planets’ activities, highlighting the concept of learning by doing. Moon walk was thoroughly enjoyed by the learners. 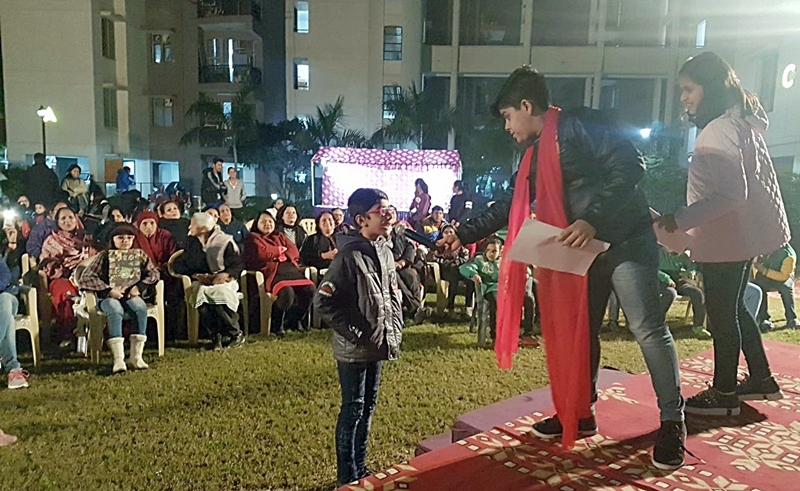 Students ringed the planets whose name they were supposed to guess thereby enhancing their knowledge of celestial objects.Children and parents enjoyed taking part in the activities and this day would be embedded in their memory forever. Many student groups from the Space Club also organized similar sessions in their localities, thereby educating the community.